Welcome back – a mostly positive term we hear sometimes whether we want to or not, on entering a new (and this being final in title) year of college. From what I’ve seen it has been met with mixed reaction. Some delighted to be back on familiar ground, leaving their eramus adventure as a wonderful memory to look back on, and others have slowly but surely come around to the idea of this being our last year in college together. There has been a huge sense of “back to reality” present within the past weeks. From sitting together once again socialising as normal, finding the ideal spot in lectures as a must and trying desperately to recognise a familiar face in the crowded halls. Whether this be someone you particularly want to see or otherwise. It has been quite the challenge, something a little different to previous years – probably influenced by our ever changing level of maturity in coming to the end of the road with college years. There’s a sense of pressure that we must know and be sure of what we’re doing with our lives, before we even attempt to get through this challenging last year, it’s worth 70% of the degree did you know? (As if we all didn’t have that ingrained enough). Last week, we attended a careers talk on where our degree could take us and what’ll become of us after we escape the enclosing college walls. It made me appreciate the safety of college, of familiarity in a way. But to be honest, I feel more unsure now than ever before on what I might do. Masters are daunting but doable potentially, but wouldn’t it be amazing to get a scholarship for a PhD – I mean, that’s something I really need in my life right now at 21. Who knows for sure what the right path is, but be sure to decide immediately.. no pressure. In some ways it was the opposite, these weeks have felt like first year again, or some in-between uncomfortable area within getting back into the swing of things in terms of academia and the exceptions within that. Sitting in the library, having not been there for seven months in total – it felt like I had never left. This year I also decided to move back closer to where my student accommodation was in first year. Maybe this was in a sense a weird way of stepping back in time. Also since we have entered back into a year that contains more 3rd years than ourselves as 4th years, there’s some strange faces about in lecture halls we are unfamiliar with, which is just the nature of our course. But honestly I think this sense of going back to reality came from the sheer amount of freedom the last year presented, the majority of us included. For myself it was my various placements to independent work outside of college, this never really held a set classroom setting. So this year it’s like being dragged back kicking and screaming, for the most part anyway. I found there was no time to find your feet within the first weeks, only now have we settled as we approach week 4 at high speed (with four sort of important essays to complete in the next two weeks). With books to buy and read quickly, friends to see and catch up with as well as a gym to join and get bearings with (yes I did that), it’s been busy to say the least. The rain pouring constantly really brought the whole complaint of “summertime is over” to a bitter reality. But we got through it. Moving into a new home with an old friend, classmate and housemate, along with new housemates brought about a feeling in that little sense of difference in that fact that it’s the last time for now that we’ll be moving in together for college. But we let all the emotional stuff fade and got focused on the books straight away (for the most part). Even though I actually feel more on top of things for once, for some reason, the final year hill seems higher and taller and further away than ever before. I thought chipping away at the mountain would be a good strategy, but now it feels like smashing your whole self straight into the mountain would be a better option. I have found some joy though in planning breaks, of times when college will be put to the back of the mind. These things to look forward to play a huge role, and honestly push us to do well in order to reap the rewards guilt free. A simple one, I’ve limited myself to only watching TV on weekends and I spend each night (about an hour or so) reading before bed (admittedly something to do with college) but at least it’s done in comfy pj’s with the fairy lights on – pretty blissful if you ask me. Now I’m sure some of you reading this think this life I’m living is so boring compared to the “mad” times college is supposed to be. Sure, you can choose to go wild, skip lectures and drink coffees or other beverages on an off day – but these days catch up on you. Pretty easily actually, and become more than you thought they were – instead of simply going out one night for a few – that turns into a day in bed, and what does that involve? Two missed study opportunities and will have to be found again in a limited time. Not something you want every week to be. So avoid the hassle. Final year is a bit of a beast, but let’s hope we are all going to be on level with that beast fairly soon, prepared to take on whatever might try knock us. Final year is also something I don’t plan on doing twice, so I’m going to try get the most out of it. So as September nears its end, final year seems to be fully in motion and going forward, I intend to battle the beast and attack the mountain with various tools at my disposal. Hope you’ll stick around to see exactly how that goes down! 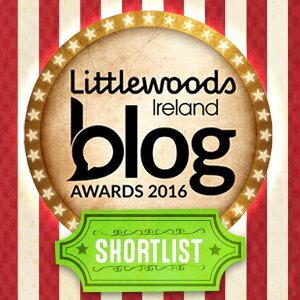 Irish Blog Awards 2017 finalist! So I couldn’t believe my luck this week, when I received a lovely email to let me know that I had made it as a finalist in the Irish Blog Awards this year in the politics and current affairs personal blog category. It was amazing to see this blog listed alongside seven other pretty impressive blogs with their takes on topical issues, holding stances set on history to homelessness. Last year being shortlisted within this section of the national awards gave me a huge buzz to keep on blogging and this next step has for sure encouraged me even further. So, looking to the future – I hope to play out my role and really feel that this place among my blogging peers is deserved! This weekend will see the first installment of “The Final Year Files” and following this, I’ll be getting pretty political on the ground in the coming days as well as attending the blog awards themselves (eek!) – so keep your eyes right here. As always, thanks so much for keeping up with this blog and engaging with the posts. Very excited to keep it going and growing! Happy September readers and fellow bloggers! I hope you’ve had a pleasant summer. I hope that you got to read, write and explore your surroundings as much as possible, with maybe even a hint of sunshine along the way. Just a little update regarding this blog. I’m so happy to be placed in this very exciting section of the competition, among some strong contenders! Also to say, that on Monday coming (Very sharply coming I might add) I begin my last year of college at NUI Galway. I’m sure this will hit me like a tonne of bricks but all the same, I plan to document it somewhat by posting about it monthly in longer posts I will collect together as “The Final Year Files“. Really looking forward to getting started on it and I hope there will be many happy reports per post. Thanks so much for the 2,000+ hits on this blog, honestly amazing – and a sincere best of luck to all who have entered and been long-listed within this years rendition of the Irish Blog Awards.